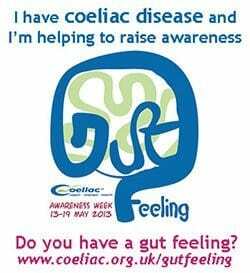 Coeliac UK has launched its Gut Feeling week today to promote awareness of coeliac disease and campaign for better diagnosis rates. It’s believed one in 100 people in the UK with coeliac disease but in fact only 10 to 15 of those people are diagnosed. For something that can be so simply diagnosed, it seems a startling figure. Guidelines set down by NICE now stipulate that anyone who a GP suspects to have IBS should be tested for coeliac disease first. To me this seems an obvious decision – why diagnose with IBS before ruling out a disease which could potentially lead to osteoporosis, miscarriages, infertility, malnutrition and even bowel cancer? 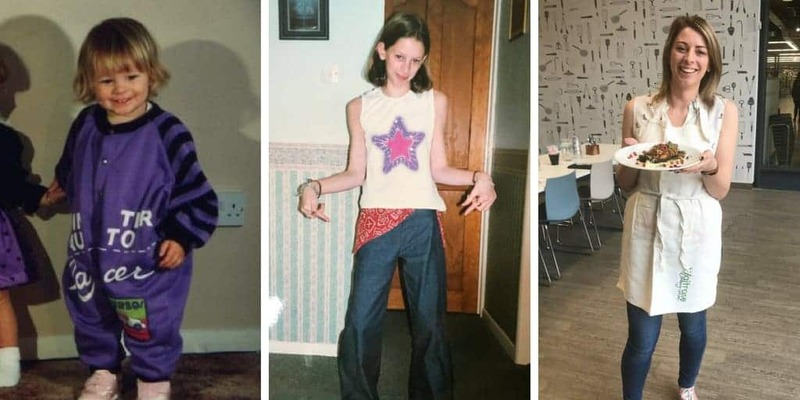 Perhaps this staggering level of undiagnosed coeliac disease sufferers is down to this – people being wrongly told they have IBS and leaving it at that. Why wouldn’t you believe the doctor if he told you that, after all, he knows best, right? If you believe you could have coeliac disease it’s important to go and speak to your GP, and as much as it hurts, do not stop eating gluten. For a blood test or subsequent endoscopy to be successful you need to be eating gluten regularly. This is because gluten causes an autoimmune reaction and if you cut it from your diet, tests won’t be able to pick this up. Once you’re successfully diagnosed (if it is coeliac disease you have) you can then eliminate gluten from your diet on your doctor’s advice. Before these guidelines were put in place, many people were told they have IBS. This means there could be thousands of people out there who are putting their health at risk but not cutting gluten out when, in fact, they have coeliac disease. If you’ve been told you have IBS but you’ve never been tested for coeliac disease, Coeliac UK is urging you to go back to your doctor and request a blood test. So far, it’s only Monday and there have been so many positive things happening for Gut Feeling week. I would even go as far as to say this has been the most prolifically covered one yet! Sadly, I think some of this will have to do with the faddy gluten free diet for weight loss that is advocated by certain celebrities, but I suppose if it is raising awareness of coeliac disease then that can only be a good thing. Coeliac UK has been urging people on Facebook to change their profile pictures for the week to spread awareness of coeliac disease. Similarly, The Black Farmer has been circulating a rather interesting semi-naked (get on it ladies!) image campaigning for people to get tested if they have unexplained gut pain. 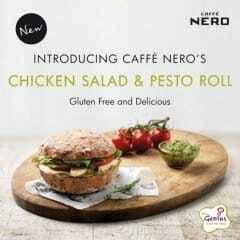 The week also started with a bang as Caffe Nero announced it would finally follow in the footsteps of Starbucks and offer a brand new gluten free roll on Genius gluten free bread. It comes with a chicken and pesto mayo filling and I’m keeping my fingers and toes crossed that my local Caffe Nero will be one of the 600 stores stocking it. This is the kind of positive move we need – more chains offering convenience foods when you’re on-the-go. If I’m stuck in town with no food the last thing I want is yet another gluten free chocolate brownie for my lunch – I need real food! So whether you’re spreading the gluten free word, educating others about coeliac disease or lobbying companies for more choice, there’s something you can do for Gut Feeling week. If you’re holding an event, or your a business offering a new product or a discount as part of the campaign, comment below and let everyone know about it. It would also be great to hear your stories of diagnosis – did you find it easy to get diagnosed with coeliac disease? Or perhaps you have been suffering symptoms for some time and are still struggling to get diagnosed? There’s a whole wealth of information out there for those with coeliac disease so if you’re worried, speak to your doctor or contact Coeliac UK for advice. And remember – go with your gut feeling. 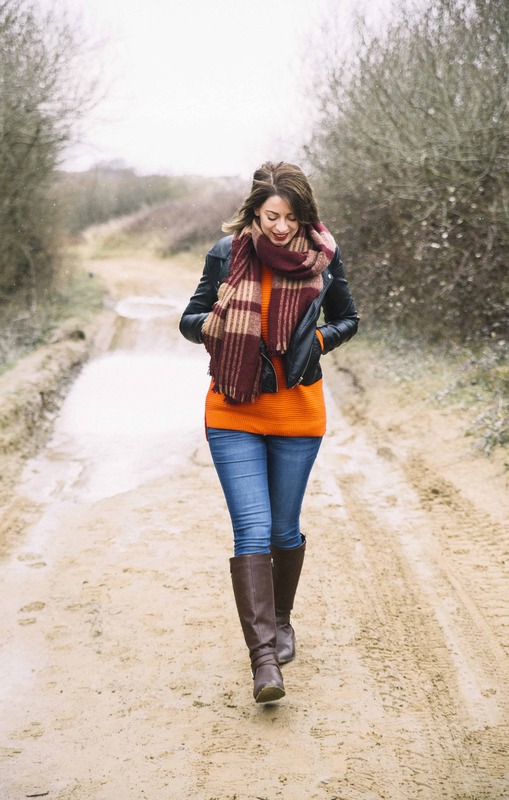 I’ve also seen some great posts today, such as these ones from Kevin at Gluten Free By The Sea and Carly at Gluten Free B – check them out, they’re worth a read! Nice post Sarah, and thank you for the mention!